When Britteny Cox skied in the mogul event at the 2010 Olympics in Vancouver she was only 15-years-old, the youngest athlete competing at those Olympics. 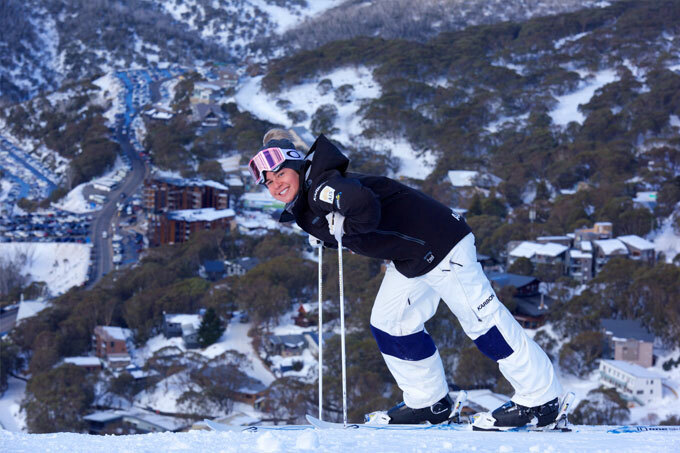 For the Falls Creek born and bred skier it was a dream come true and a sign of great things to come, something that was confirmed when Brit won her first World Cup moguls medal in 2013. 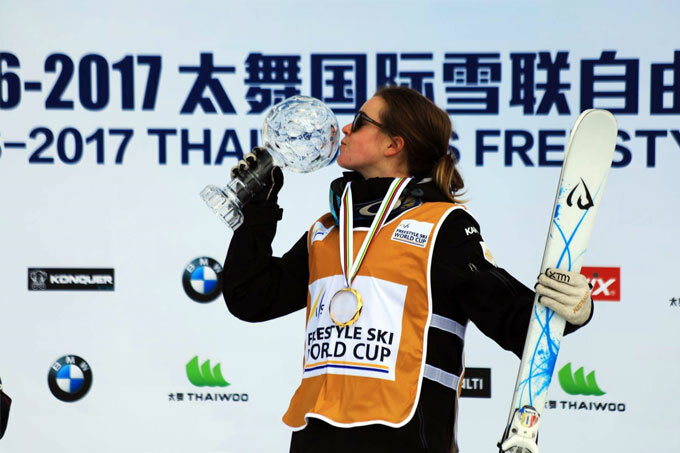 A strong fifth at the 2014 Sochi Olympics cemented Britt’s place at the elite level of international mogul skiing and then, last year, Britt rose to the top, dominating the 2016/17 World Cup season as well as winning the 2017 World Championships. 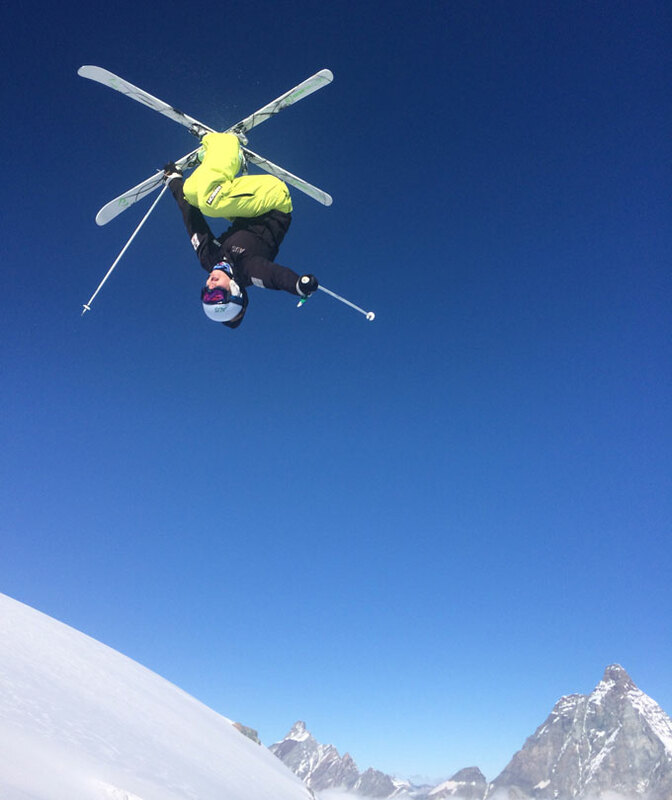 After the first two World Cups this year, Britt has locked in a first and a fourth and her preparation for the PyeongChang Olympics is in full swing. 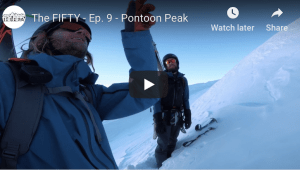 When Mountainwatch caught up with Britteny she was in Winter Park, Colorado, spending Christmas with her Australian team mates and training for the next World Cup in Calgary on Jan 6. Growing up in Falls Creek opened up a lot of opportunities for Brittney and paved the way for her current success. Britt, you had a good start to the current season with a win in the opening World Cup in Ruka, Finland followed by a fourth in China. You must be feeling good after the strong start. It felt great to start the season with a win in Ruka. Competing is my favourite part of the sport so it’s great to be back in competition mode after a big year of training. Last year was an epic season for you by any athlete’s standards. Seven out of 11 World cup wins, World Cup champion, and you topped it off by winning the World Champs in Spain. Obviously, all the work and dedication over the years paid off, but what clicked to maintain such a consistently high-performance level? 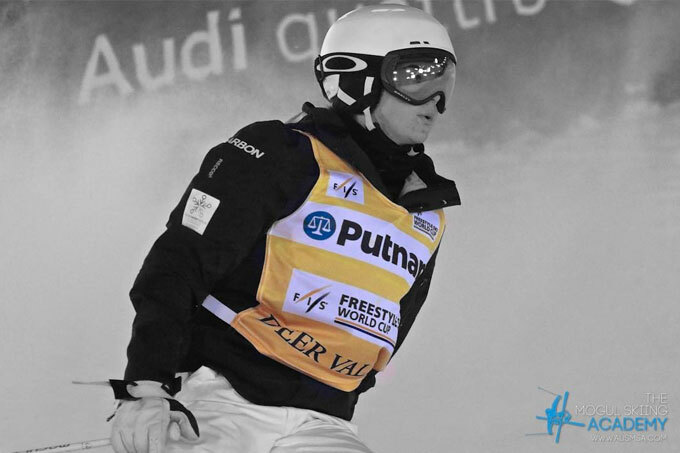 Last year was a really exciting season not just for me, but for the whole Aussie mogul team. For me I think it was really a matter of a number of years of training and honing my skills finally paying off in a competition setting. My two coaches Steve ‘Des’ Desovich and Jerry Grossi are really big advocates of mastering the basics and fundamentals. We have worked on this for a number of years now. Do you feel any extra pressure going into this season’s World Cup events as World Champ? I knew going into this season that I would have a huge target on my back. It’s a different position to what I have been in before going into a season, but it’s a challenge that I welcome and have looked forward to. 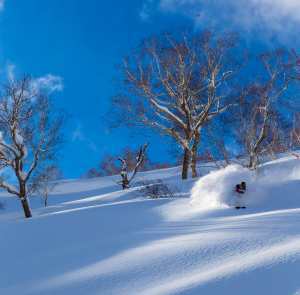 Along the same lines – this is a big season with the winter Olympics only five weeks away. Do you feel any more pressure than a normal world cup year? This is a really big year with the games being the major focus. Everyone is excited including me, but I’m just staying focused on what I need to do at each event week by week and developing the skills I need to bring out my best skiing. You are only 23-years-old and you’re about to compete in your third Olympic games. I know being an Olympian was a dream for you from a young age, but did you ever dare to dream you’d be a three-time Olympian? Probably four-time as you’ll only be 27 for China in 2022. From a young age, I never really thought about how many Olympic games I would compete in. I originally had 2018 in my sights as my first games but I managed to squeeze in an Olympic berth in Vancouver 2010 as a 15-year-old after competing in my first ever World Cup just a few weeks before the games. Britt in full flight during training. In mogul comps the jumps are getting more technical and a standard twister-spread doesn’t cut it any more. Man, only 15. That is so young and no doubt it was an awesome experience. How vivid are the memories from those Olympics? I can’t believe it’s been eight years since Vancouver. I still remember competing there really clearly and I am so grateful that I had the opportunity to compete in the Olympic games as a 15-year-old. I gained so much valuable knowledge, experience and inspiration from those games that I used to fuel my training in the following years. 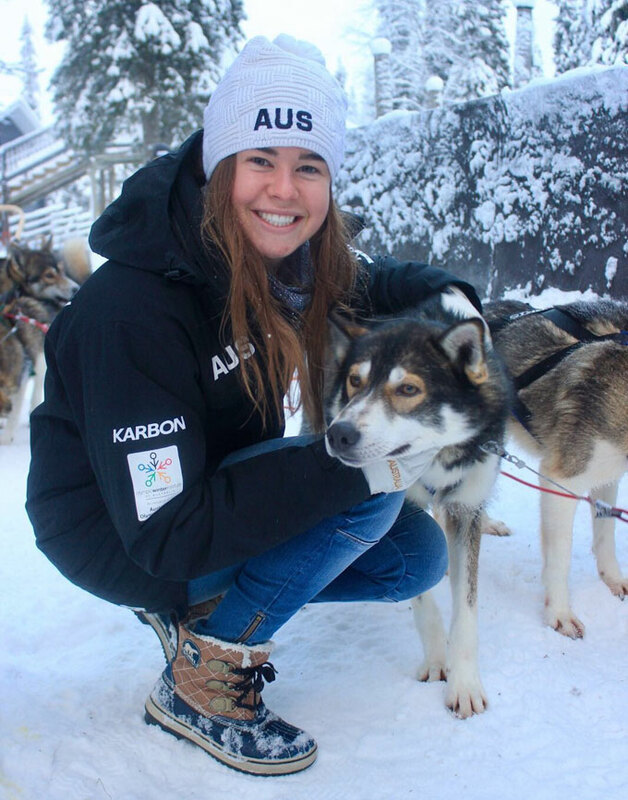 The Australian mogul team is a small, but tight group, how is it travelling together? The Aussie mogul team are like my second family. We spend more time together throughout the year than with our actual families so we have become very close. Most of us have grown up together and we all get along really well. There is plenty of banter amongst our team, which keeps things entertaining on tour and makes being away from home for long periods much easier. I can imagine there’d be some fun times and I presume the support you give each other is really strong. We are all very supportive and encouraging of one another on the Aussie mogul team. Mogul skiing is an individual sport, but we travel and train together as a team and understand that a positive team culture provides the best environment for each of us to train and perform our best. 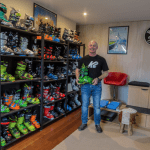 You grew up in Falls Creek which has produced a lot of great skiers over the years. Is there anyone who was a particular inspiration when you were growing up? I feel so incredibly lucky to have grown up in Falls Creek. I had some amazing opportunities as a kid growing up in a ski resort and that is something that I will always appreciate. Falls Creek is home to many Olympians and great skiers and growing up I was inspired by the Costa brothers, particularly Adrian Costa who I was fortunate enough to be coached by as a grom. I also received a lot of support from Alpine skier and four time Olympian Steven Lee, who ended up being the commentator for my event in Sochi 2014. Furthermore, the community at Falls Creek has been a huge source of inspiration and encouragement for me my whole life and I’m proud to come from such an amazing place. It takes a lot of dedication and motivation to ski at your best and stay at the top at such an elite level. Does it get hard to maintain that motivation? There must be times when dry land training in the gym feels like the last thing you want to do. I think my passion for the sport and desire to get the most out of myself and my skiing is my greatest motivator in my training on a daily basis. I love my training and whenever I am faced with a tough training session I just think back to why I am doing it and imagine the returns I will get on snow from the work that is being done. 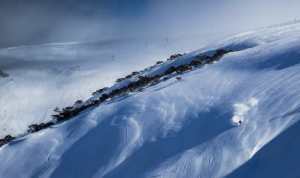 What about free skiing – just getting out there and ripping a few turns or skiing pow – do you still enjoy that? Absolutely! 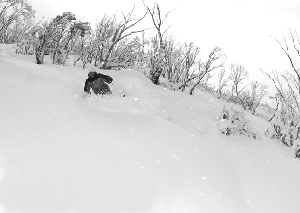 Mogul skiing and jumping is my favourite thing to do but I love ripping a few early-morning turns down the groomed. Free skiing and powder skiing doesn’t happen too often for me but when it does I’m definitely having a great time. Well, you’ve got a World Cup in Calgary next week; what’s your program leading into Pyeongchang? We are now well underway with the World Cup circuit. We are now in the North American leg of the tour which will see us competing in Calgary, Deer Valley and Mont Tremblant before the games. Looking at the Australian team for the Olympics, we have some real medal opportunities. Yourself and Matt Graham in moguls, Chumpy and Jarryd Hughes in snowboard cross, Scotty James, Torah, the aerialists – it’s going to be an exciting couple of weeks. It’s looking like we have a really strong Aussie team going into these games. In Sochi, we had quite a young team with many athletes making their Olympic debut. I think this team will have a lot more athletes competing in their second games. How excited are you? Do you think this will be much different for you to Vancouver and Sochi? I’m really excited. Sochi was a completely different experience for me compared to Vancouver and I think Korea will be very different again. I’m looking forward to getting on to that course. Awesome. Thanks Britt and all the best. I’m sure all of Australia will be watching and cheering you on. Thanks very much. I’m really proud to be representing Australia.